Back in the early days of my coaching business, I didn’t place much importance on systems. They simply didn’t seem necessary, and they certainly didn’t strike me as something that would contribute to my success. Plus, creating systems just felt like more work, a way to waste time I didn’t really have. That changed as I got busier with my business and realized that NOT having systems was preventing me from reaching the next level and achieving more growth. Before I had systems in place, I was always scrambling to try and remember the right steps to execute various things in my business. I found myself doing tasks in the wrong order, which often added more work to my plate. And sometimes I forgot to do important things entirely, which made me look unprofessional to my clients and cost me more opportunities than I care to count. So I started putting systems in place, one at a time, week after week. It took effort, but it was necessary because I knew I wanted to create more growth in my business, more ease in my days and more freedom in my life. Now that I have systems in place, I don’t have to work so hard to remember everything that needs doing day-to-day in my business. It takes me far less time to work through my to-dos because systems help me cross items off my list with ease. My business feels more polished and professional to clients and to people I’m collaborating with because I have processes in place to support those interactions. And when it comes time to delegate something, I can easily pass tasks off to a team member by teaching them the system I already have in place. 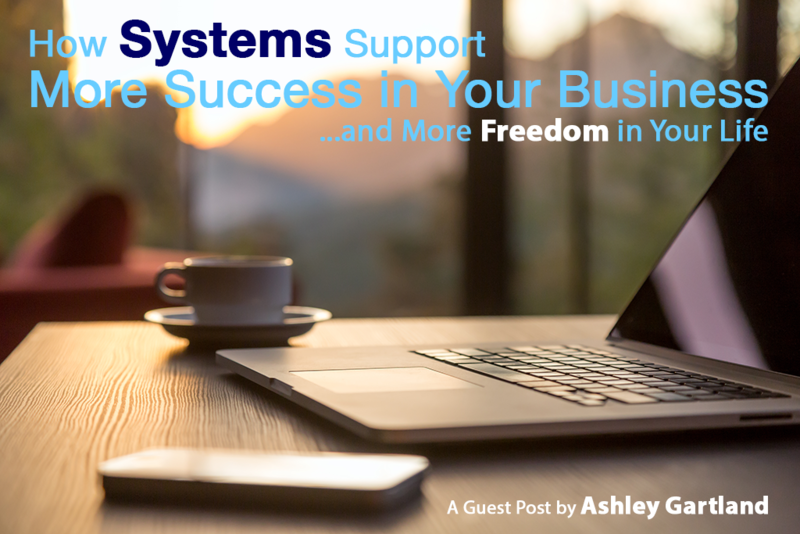 At this point, you may be thinking you too would like to get some systems in place in your business. Only, where should you start? Now that you know the systems you could create, grab a sheet of paper and make a list of the ones you’d like to create for your particular business. The list might feel long, and overwhelming, at first but please remember that you do not need to do all this work at once. When I was adding systems to my business, I started with just one – and that’s all you need to do too. To figure out which systems to start with, I recommend taking a look at your list and picking the one that feels the most urgent to create. It might be the one you would use the most or the one that would help you maximize your time or profits. Or maybe, it’s the one that would create the most time freedom for you. You get to choose. Wherever you start, this is your chance to commit to getting a system in place so you can see how much growth, freedom and fulfillment it can make possible for you. Ashley Gartland works with small business owners and service-based entrepreneurs whose business is doing well but who feel like a hot mess behind the scenes – and they know it’s holding them back from reaching the next level. She helps them simplify and streamline their business so they can experience more growth and fulfillment in their work and more freedom in their life. Ashley’s work has been featured in O, The Oprah Magazine, The Huffington Post and Being Boss and she’s appeared on The Startup Sessions, Courage & Clarity and the Creative Empire podcasts. 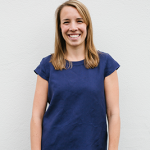 She lives for rainy days, is an avid runner and prefers kombucha over coffee to fuel her day. To learn more about Ashley’s work and get her free guide, 5 Steps to Simplify Your Business, just click here.